We’re in Hawaii—again—and we’re headed here next month as well. That will be three times in six months (last November for vacation, this time for a regional, and next month for our incentive trip), but whose complaining! Maybe I should apologize or something, but I don’t feel a bit badly! We love Hawaii, but we usually don’t get here this often, so I’m just going to enjoy it. In fact, Sterling and I are staying an extra couple of days! We don’t have much planned, just our usual MO—sleep in late, late breakfast, go for a walk, relax on the beach, early dinner, watch a movie. We may try to hit a sightseeing place or two, but usually we come here with one thing on the agenda—relax! And this is a perfect place to do exactly that. But first things first! We arrived on Friday, just in time to attend a “Share the Aloha Spirit” demonstrator-planned and -hosted activity. 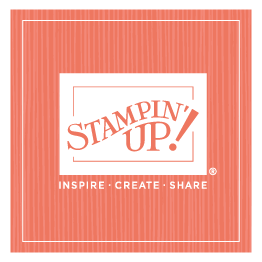 A group of our Hawaiian demonstrators had invited the Stampin’ Up! staff to spend the evening with them, and it was delightful! The evening was packed with delicious local food, hula dancing, a skit, making tea leaf leis, and stamping! We truly did experience the aloha spirit—and loved spending the time with our local demonstrators! Our regional was next, and the aloha spirit continued! What a warm reception we enjoyed on Saturday. And I’m not talking about the weather, although that part was heavenly too! I laughed because the local demonstrators were talking about how chilly it was, and we Utahns were thrilled to be anywhere that was warmer than 40 degrees! As we walked through the convention center, which has several open-air areas, the warm breeze felt wonderful! But our demonstrators—and our guests—were even more wonderful. More than a third of our participants at this regional were guests, and that is not typical at a regional. It was great to have so many guests catch a glimpse of what a Stampin’ Up! regional is all about! I always share the regional project I demonstrate with you, but this one is a little different. Typically I demonstrate a technique or something, but I used the new matchbox die for my project this time, and it’s so easy, there’s really no technique to show. I showed how to put the base of the box together, and then showed three finished projects. Quick and easy! The projects started when I saw the Jackpot Designer Series paper and the King for a Day stamp set. I’m not a card-playing person (in fact, typically I don’t play games of any kind—just don’t enjoy them), but I knew as soon as I saw those two products that I wanted to make something special for Sterling; his birthday is March 4. Again, although I don’t have any idea what a suit or a trick or a jack is (although I’ve obviously heard the words! ), I knew there was some significant to 3/4, so I based my birthday card for Sterling on that idea. I made the matchbox package to hold a deck of 12 cards (not a full deck of 50 or however many are in a deck), three cards in four different colors, to tie into his birth date. The front of the cards is the King for a day image embossed , and the Jackpot DSP decorates the back of the cards, where I’ll also add a surprise gift for him, like arranging for a sitter to watch Grandpa (which he usually does) or giving him a foot massage, or. . .well, I haven’t completed the list yet, but I still have a whole week before I have to give it to him, so I’ve got time. Sterling was in the audience when I showed the project, so the packaging won’t be a surprise, but I didn’t talk about the surprises on the back, so he can still look forward to that part of the deck of cards. Creating that idea was so simple, I ran with it. I needed gift boxes for my sister Vonna’s birthday and one for a package I’m sending to Shanna for her birthday, so I switched out DSPs and stamp sets, and made two more fun, easy projects! I hope you enjoy them!